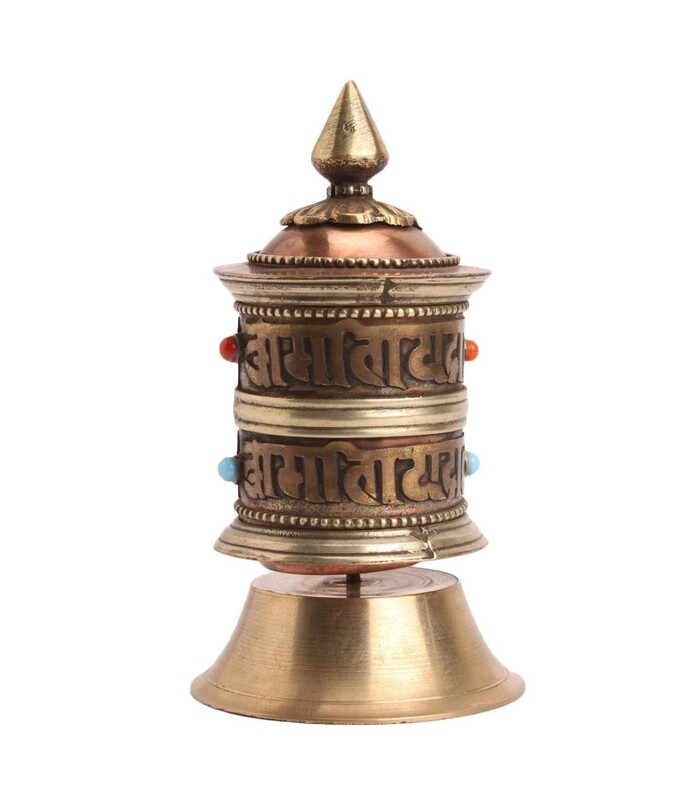 Buddhist prayer wheel, it can be placed in your living area, office table or in your worship area. The wheel is in cylindrical form made from copper and brass. Various Tibetan mantras are inscripted all around. 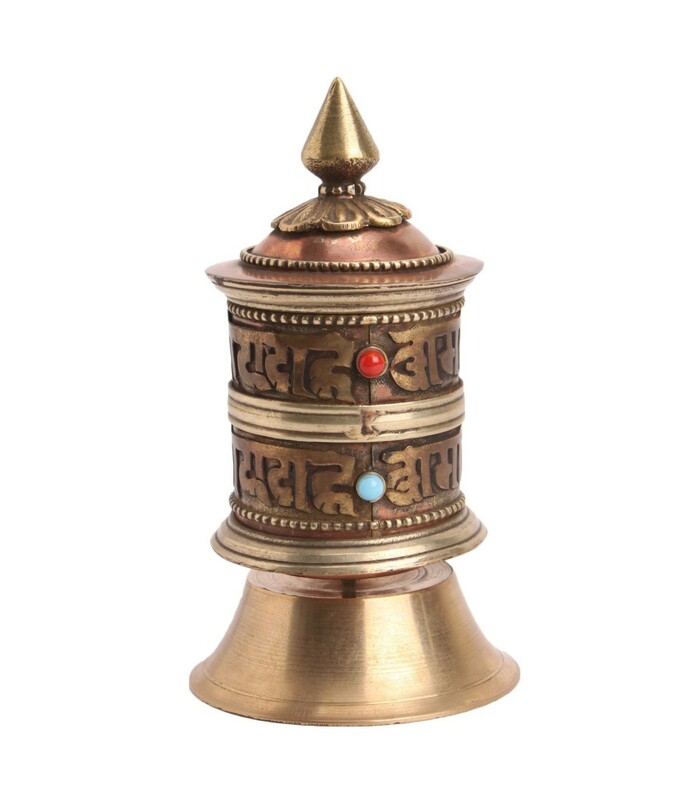 A paper with Long Tibetan mantra is enrolled inside the cylinder. Rotating the wheel eliminates negativity and generates wisdom.